It's always been said that Alfred used to cycle to Scarborough from Southwell, some 120 plus miles carrying his photographic gear, Lastingham is about 24 miles inland from Scarborough. This image is from a postally unused printed postcard and must have been published after 1902 when the UK permitted divided backs. 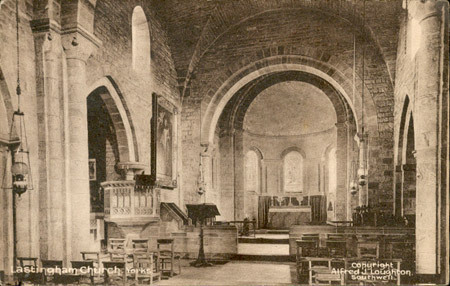 An internal shot of the church looking east towards the alter and the arch of the Norman chancel. 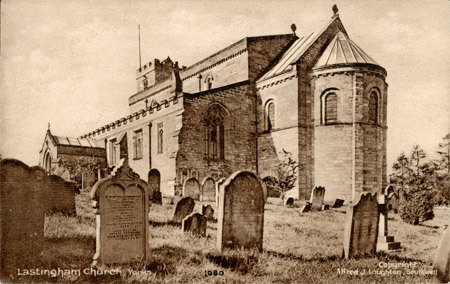 Scanned from a postcard sent to Bridlington in 1935. 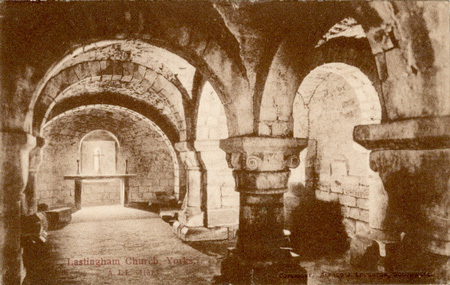 The crypt of Lastingham Church. Taken from a printed postcard posted in 1909 to Chelmsford Essex.